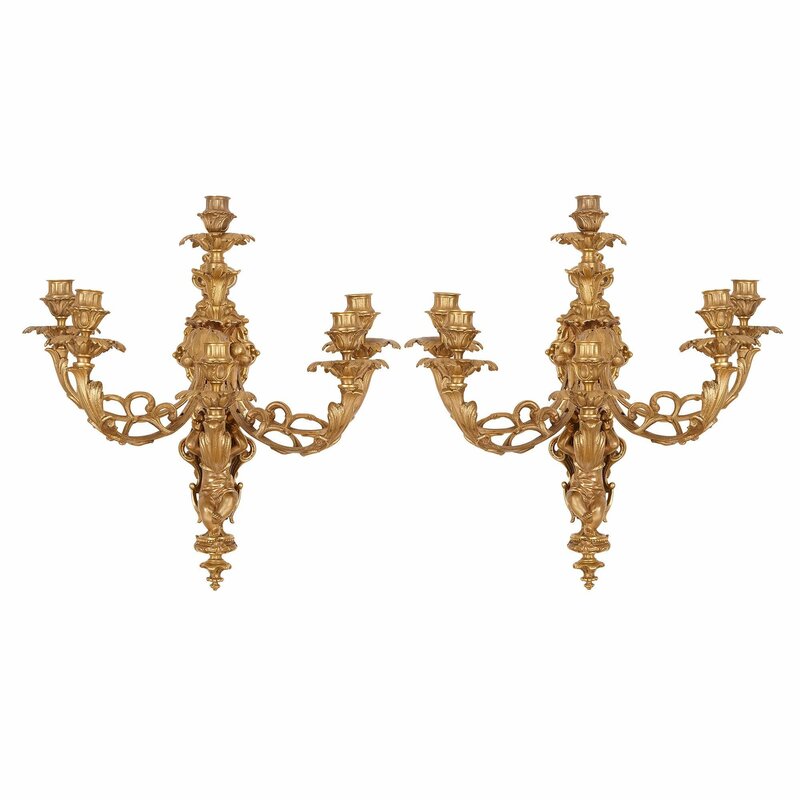 With their beautiful scrolling, organic forms, these wall lights epitomise the Louis XV revival style, which was fashionable in France in the 19th Century. 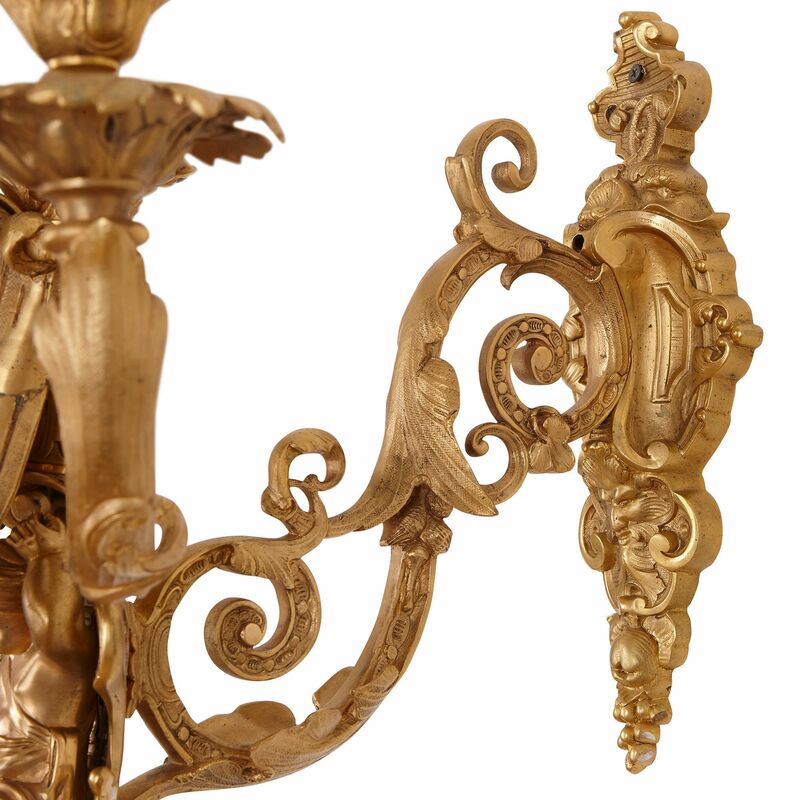 The ormolu lights spring from scroll-edged backplates, which attach the pieces to the wall. 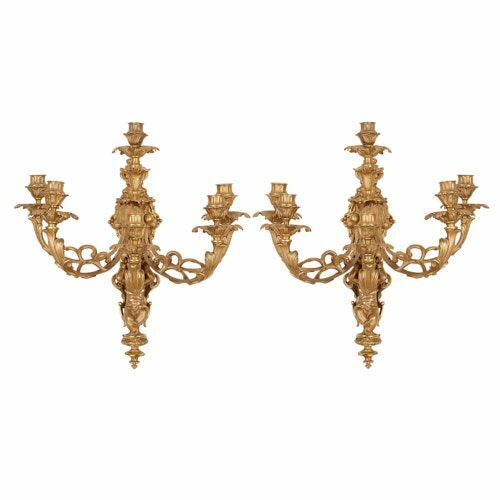 These backplates are decorated with strapwork, Green Man masks and fruiting vines. 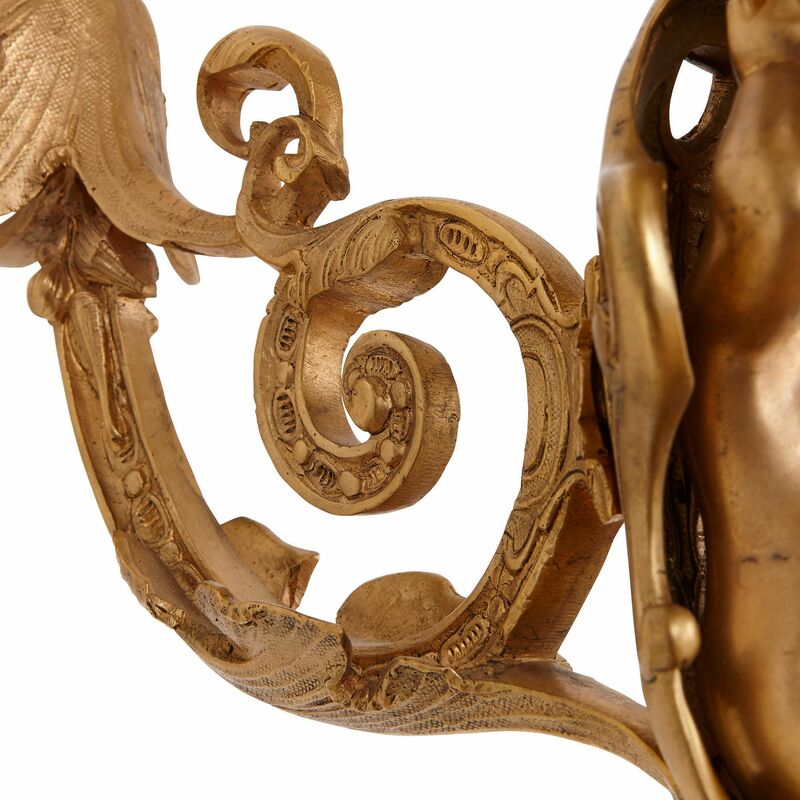 For each piece, a single leafy, vine-line arm curls out from the backplate, splitting into two parts to support the upper and lower sections of the stem. 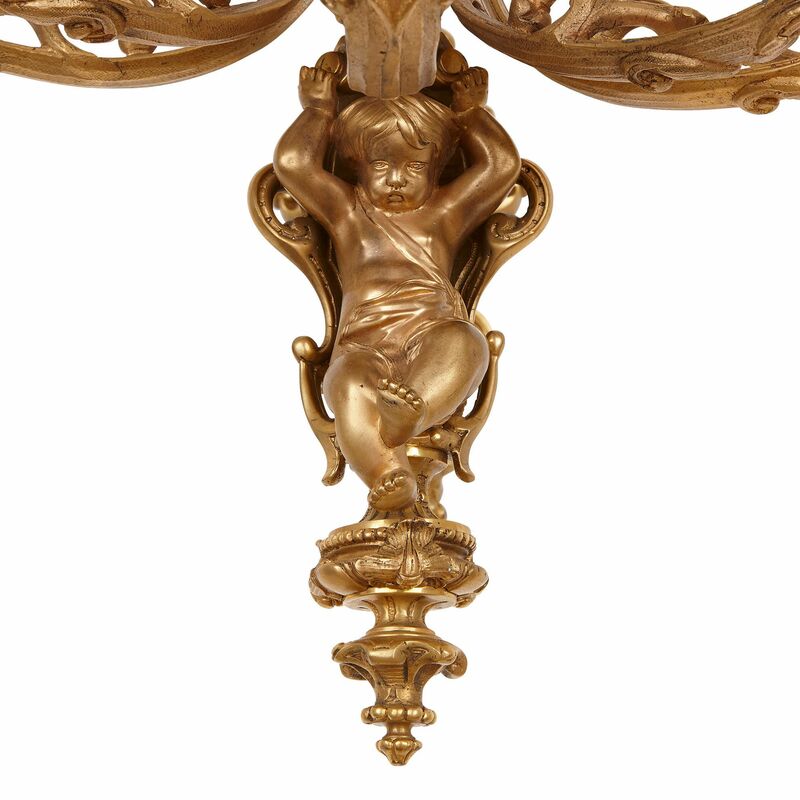 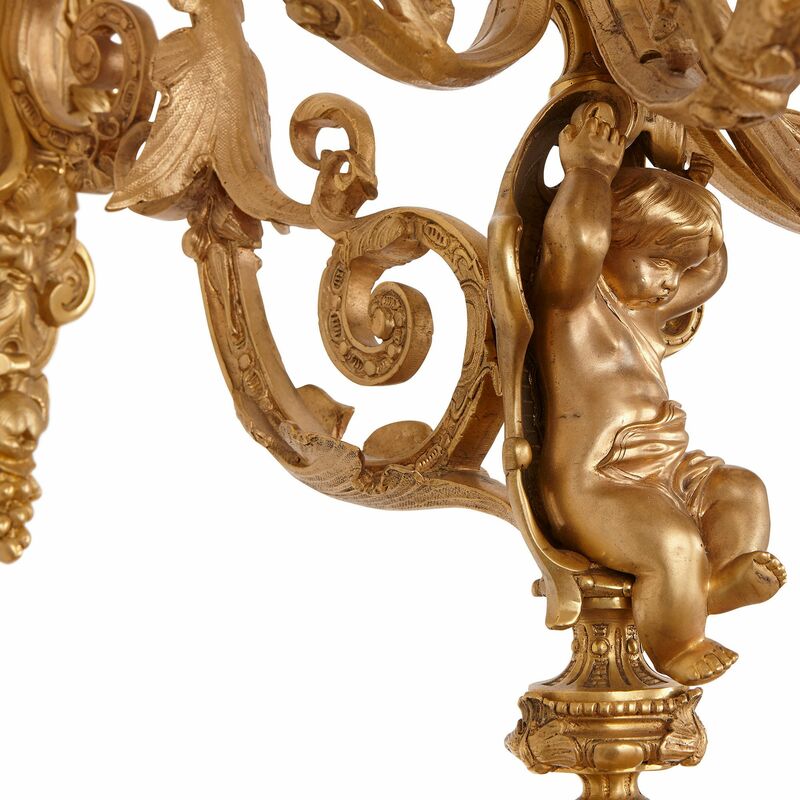 Each light has a lower finial, which curves upwards to form a seat for a putto, who raises his arms as if to support the six branches of the light above. 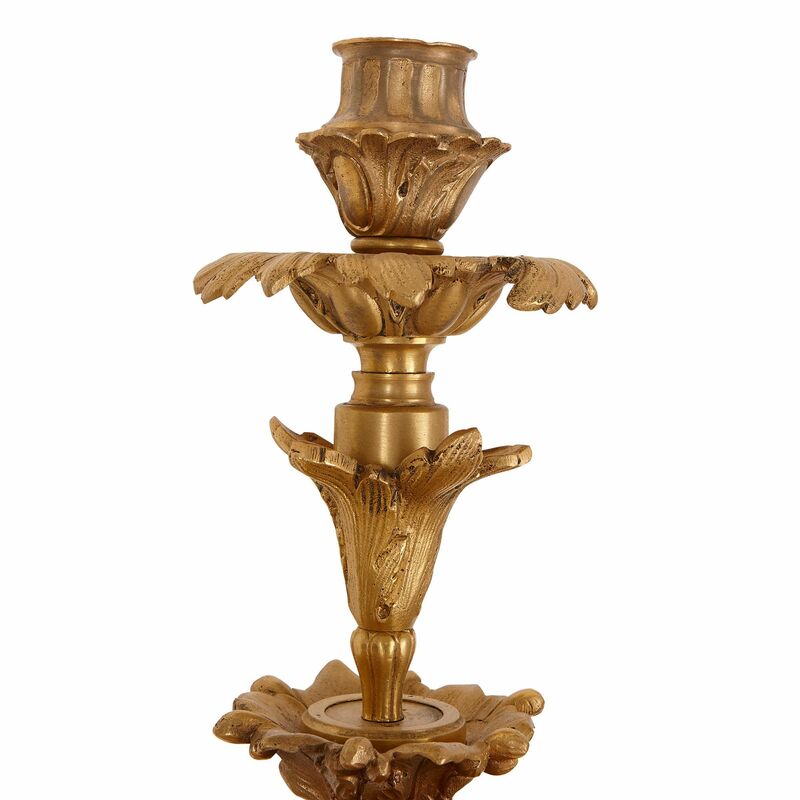 These foliate branches extend upwards to support leafy drip-pans and capitals with fluted tops. 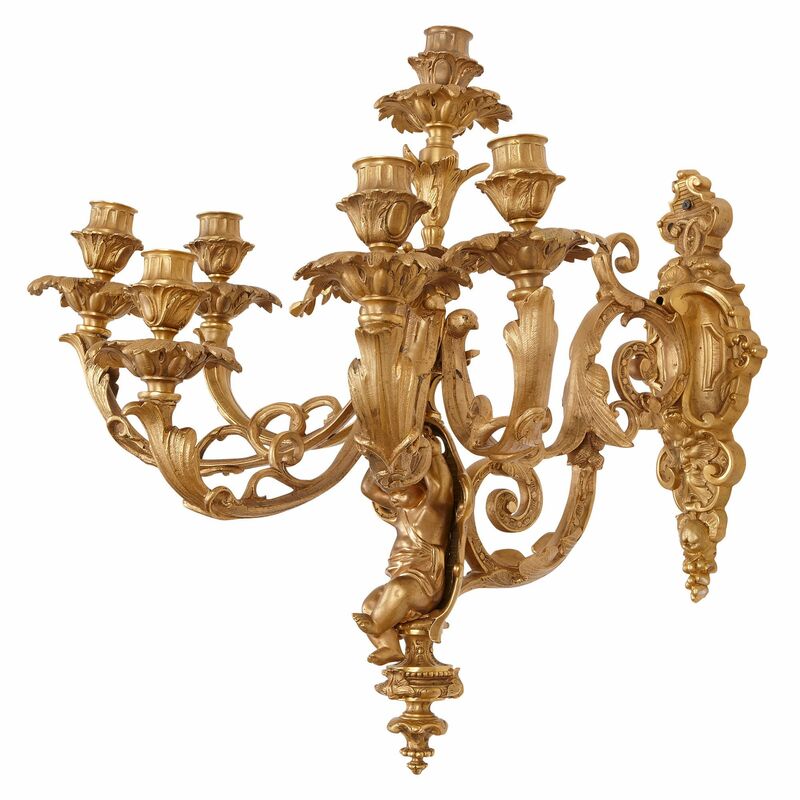 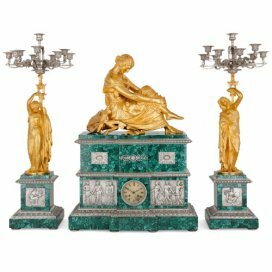 These pieces will look beautiful in a low-lit interior, since this environment will enhance the beauty of the objects and the way in which the light plays on their gold coloured surfaces.